"The Iceberg Shop" provides a free interpretation centre in a historic building complete with artifacts"
The Iceberg Man was so pleased with the image of the container ship "Astrom" passing behind the iceberg that he had local artist Jason Sharpe paint a huge mural of his picture on the Iceberg Shop. 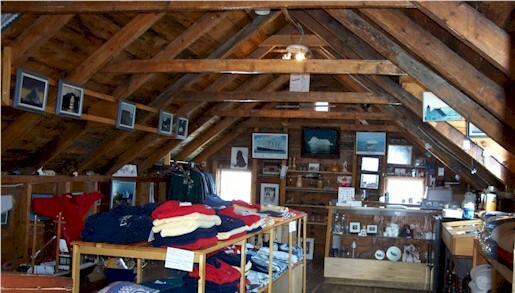 "The Iceberg Shop" provides a free interpretation centre in a historic building complete with artifacts, a display of fascinating pictures, informational material and souvenir and craft products. 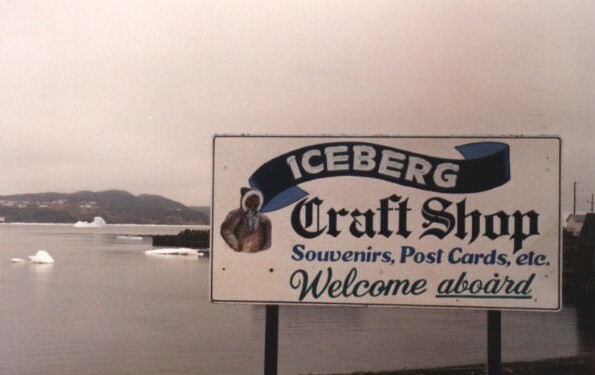 "Some of the existing privately owned tourist facilities in the province provide evidence of the entrepreneurial skills available here.... One particularly good example we found was 'The Iceberg Shop in Twillingate." 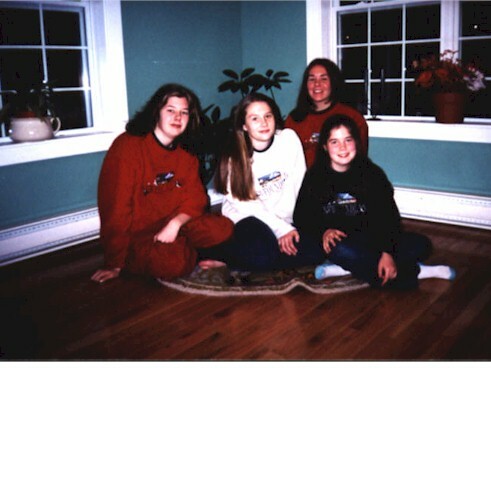 The daughters of the Iceberg Man model examples of fleece sweaters available upstairs in the Iceberg Craft Shop. Framed iceberg photos like this scene of Back Harbour, Twillingate, can be found in the Iceberg Gallery, on the ground floor of the Iceberg Shop. 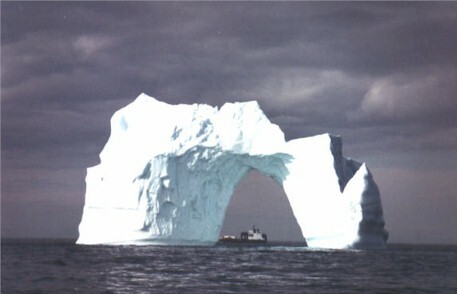 Visit a host of icebergs and whales as seen through the eye of the Iceberg Man. The Iceberg Shop is approximately 160 years old. 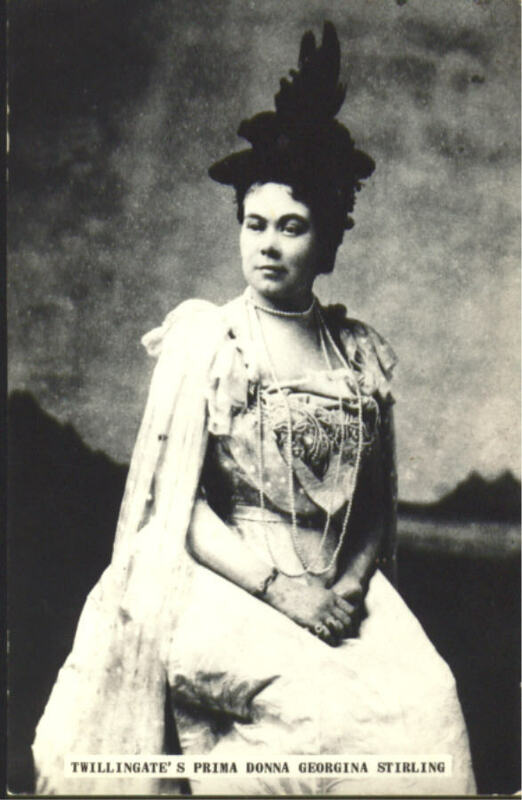 In earlier days it was the barn of the family of Georgina Stirling, Twillingate's own opera singer. 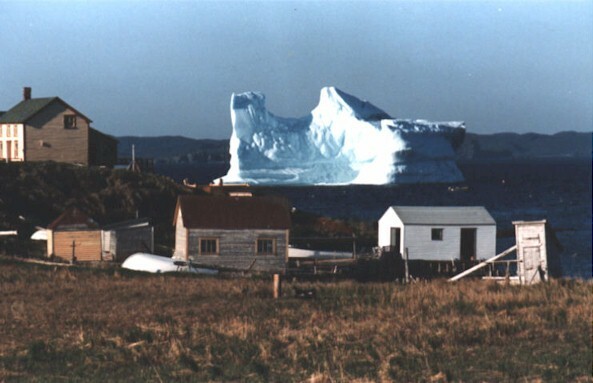 The building was towed across Twillingate Harbour to its present site in 1958. The old part of the building in which one can notice the original woodwork, joins and beams.